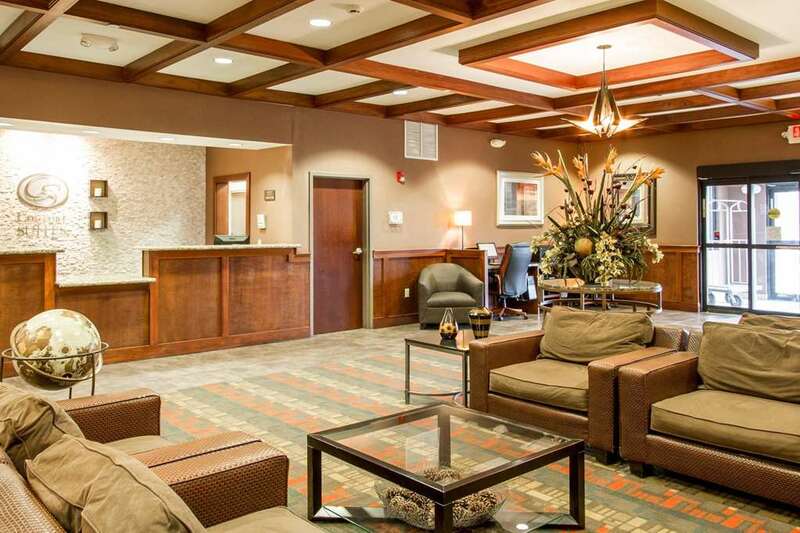 The Comfort Suites Grand Rapids North hotel in Comstock Park, MI will get you refreshed and ready to go for leisure or business. Our all-suites hotel is near Art Van Sports Complex, White Pine Trails and Van Andel Arena, plus you'll be set to explore the great outdoors of Michigan. Amenities at our smoke-free hotel include free hot breakfast, free WiFi, free weekday newspaper, an indoor heated pool, exercise room and business center with a meeting room, copy and fax. Each spacious guest suite features a refrigerator, microwave, TV, coffee maker and recharge device. Also, earn rewards including free nights and gift cards with our Choice Privileges Rewards program.